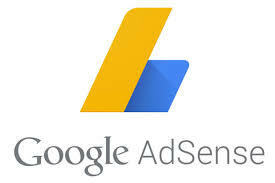 AdSense puts ads on your site, and you earn money when people click them. Therefore, you want as many people to click them as possible. Of course, the simplest solution would be to pay people to click them, at a lower rate than what you make from those clicks, so you still make money. Google doesn’t like this, and they monitor accounts for invalid click activity. If they find such activity on your account, they can close it, including keeping any money you “earned” in such a way. When your CTR is 1% and your average CPC is $0.25. it’s quite achievable to make $100 dollars a day, and lots of people are doing it. Let's assume that a Page View = An Ad Impression. • To make $100 everyday you need 40,000 Page Views/day Or, 400 Clicks a day @ 1% CTR and $0.25 CPC. For 40,000 Page Views you have to produce 500 awesome articles on your website. These pages must attract at least 80 or more page views everyday. • Apart from CPC, you will also earn from your CPM ad impressions. 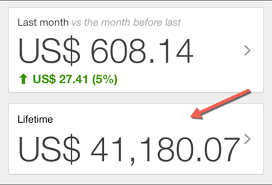 Irrespective of any niche, the average CPM earning is $1 to $1.5 per 1,000 impressions. You can make $40 to $60 per day from 40,000 page views. • You can also sell your Ad space directly or via BuySellAds.com, and generate $6,000 Per Month on an average from 40,000 page views. Check out how webmasters are making $6,000 to $8,000 Per Month from BuySellAds with forty thousand page views per day. So your daily earning will be $200 (6000/30=200). • A niche website with high quality articles works well with affiliate marketing. You can might be able to earn $40 to $80/day from affiliate selling with correct implementation and execution. When deciding to be in the 'Creating Content Business' your desired earning of $100 per day from Google AdSense is achievable. 1,000s of people are making money by writing articles, and you can do it too, when you are Focused! Stay connected To realitytechs.com.ng by subscribing to our news feeds for more updates like this.